I’m new to this blogging thing. I’m new to being a wife, to being a first-time mom (in t-minus one month) and I’m scared. Like everything that’s new, it’s scary and exciting, nerve wrecking and a little chaotic. When things get crazy, I turn to God, to my faith; I start reading the bible and praying more, and it’s a good thing, better if I didn’t just do it when things get crazy. 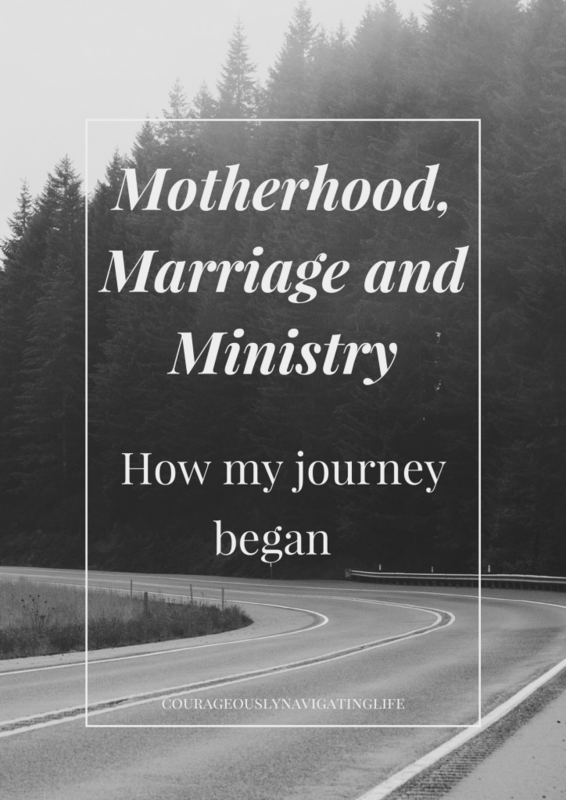 My journey into motherhood, marriage, and ministry all came together. I had a ten year plan, school, career, marriage and kids. My plan was in action but some of the things I had planned or decided wasn’t God’s plan. As a teenager, boys were never my priority, or even on my mind. I had a plan for my life, and boys weren’t a part of it. “I have no time for that” I used to tell my mom. I was so focused on school and a career. I didn’t leave much time for anything social really. I started to isolate myself. I worked hard and studied and slept or caught up on Netflix when I wasn’t doing anything else. My mental health started to take a hit because of it, so one day after church I signed up to start volunteering in kids church. It was the greatest decision I made in a while. It was something that gave me a purpose, great people to connect with and a chance to feel less isolated. Then the unexpected happened, I met my husband (6 years before I had planned), at a youth boot camp as camp leaders. We met, he shot me with a airsoft gun (his favorite part of the story), we dated, fell in love and we were married in September 2016. The best parts are in the details, but I’ll save that for another time. I graduated University a year later with a biology degree and a new “plan” (or so I thought.) 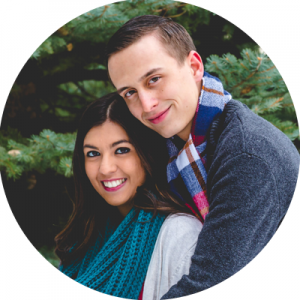 My husband got a job working at our church, and it was perfect because it was what he had been working towards. We decided to put my next step in school on hold for a year and see where his job would go. Our plan was to go after about a year. All these plans and decisions we made were our own, not once did I take a moment and pray and really ask God for guidance and wisdom in what His plans were for us. 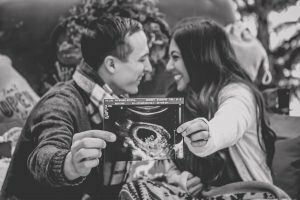 My husband and I both wanted kids, my genetic history in fertility and pregnancy wasn’t the happiest history. It worried me for when we decided to start a family. We had decided to finish school and everything before even thinking about kids, again six or so years down the road. Things started to shift in my husbands heart and he wanted a baby. I wasn’t so sure, but instead of making my plans this time I prayed and I really resonated in God and his word about this decision. I was nervous and scared, excited and worried. I made a doctors appointment to just see how things were and to talk about my history. He informed me that if we do decide to go ahead and start trying it would take time. He said usually it takes up to a year, and if nothing happens after that then I can come see him again and discuss what our options are. I went home feeling a little less sure about everything. We didn’t stop praying, and things started happening with my job, his job, our finances, they weren’t all good things. The chain of events all makes sense now but at the time they didn’t. My husband kept reminding me to pray, have faith, God has a plan. Surrendering myself to God’s plan has never been something that came easily to me. About a month later I went back to the doctors for my check up and my doctor told me I was pregnant. I couldn’t believe it. I didn’t believe it, not really, until my 8th week ultrasound where we got to see the little peanut. My pregnancy hasn’t been without its complications due to my family history. I have been on a doctor mandated medical leave since week 20 and at first I wasn’t happy about it. I was home alone, with my thoughts and worries, each day seemed to last forever. I would be worried every second of every day that something was wrong. I began filling that time reading my bible and finding things to occupy my mind. I realize now that this time being home was what I needed, spiritually and mentally. A time I needed to really grow myself and my faith. To really see what me, a new a mom and wife can do in life with a little extra courage. That instead of being worried all day every day, to just have faith that God is keeping our baby safe. That my sweet little boy was “wonderfully and fearfully made” (Psalms 139:14) and that God has a great purpose (Jeremiah 29:11) for our little one. That’s where this blog idea grew from, an understanding that God’s hand is in everything, every decision we make and plan we go through with. When things seem like they are falling apart, or not working out how they are supposed to that maybe they need to break in order to build up something greater. We just need to be strong, and trust that God is with us, we need to courageously live the life we were made for. 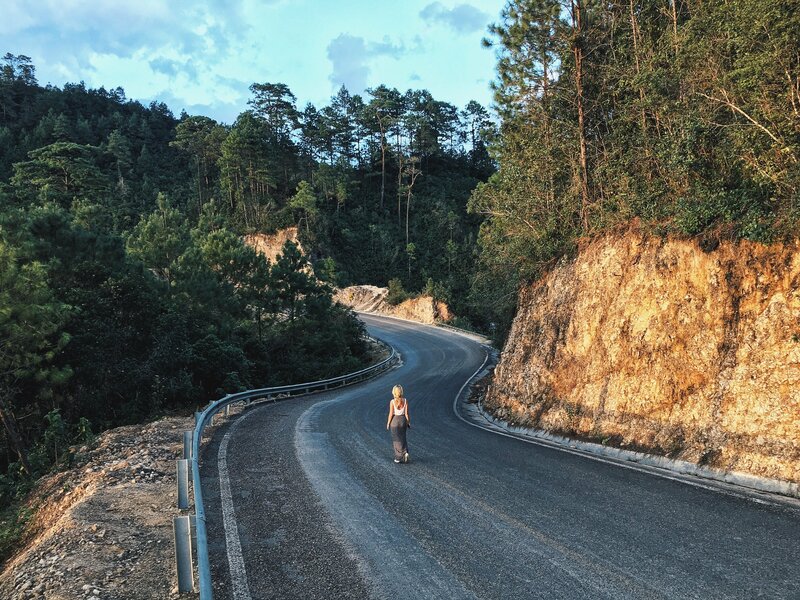 No matter where you are in life, starting motherhood, just getting married or being married for a while, we need to embrace it and Courageously Navigate Life. If you know anyone who could use a change of perspective or would be interested in my story please share this. If you have any words of wisdom or tips for others navigating this crazy thing we call life please share them in the comments below I’d love to hear from you. Subscribe to my email list at the bottom of this page to get updates and be the first to know about new posts. Life is unexpected and every day is a new beginning. Wishes to your beautiful journey ahead. Great post! Life never happens the way we plan. We must be flexible and ready for the unexpected beauty of life! Best of luck with your journey; God bless! I can relate to it so much on how plans change unexpectedly and sometimes the best thing we can do is to let go of plans and see what happens! You will be amazing in your next journey into motherhood!